Sadhana: Coalition of Progressive Hindus invites you to the opening reception for Sacred Waters: A Collection of Hindu Offerings from Jamaica Bay, and exhibition hosed as part of the Museum’s Community Partnership Exhibition Program, on Sunday, September 14, 3-6pm. The items on display were discovered through Project Prithvi, Sadhana’s green initiative which aims to promote environmental justice while preserving the Hindu tradition of Ganga puja (worship to the waters). 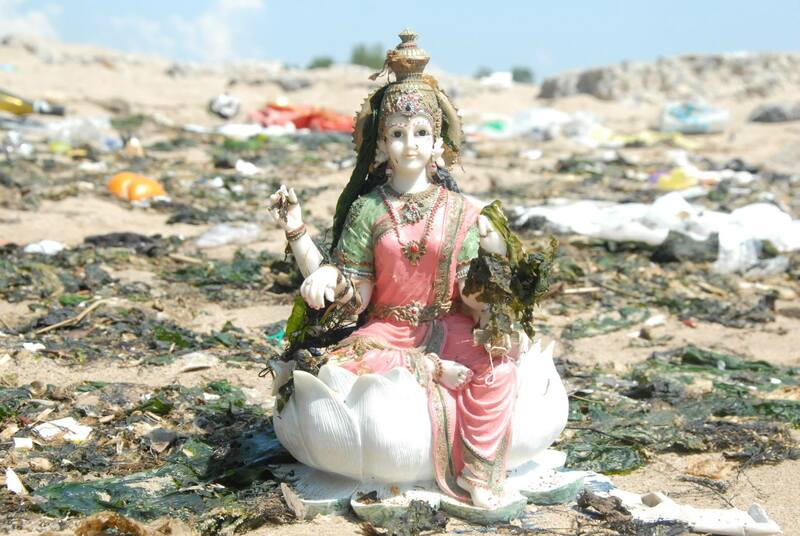 Through a partnership with the National Parks Service, Sadhana conducts monthly cleanups at Jamaica Bay in Queens, NY, engaging the local Hindu population in seva (selfless service) and advocacy.